Please read about this witness and his evidence on Facebook. Charles Williamson took the eerie pictures of the floating object when he stepped out his back door after celebrating Hogmanay with his family. A SCOTS dad is convinced he spotted a UFO hovering above Wick just minutes after the bells on New Year's Day. 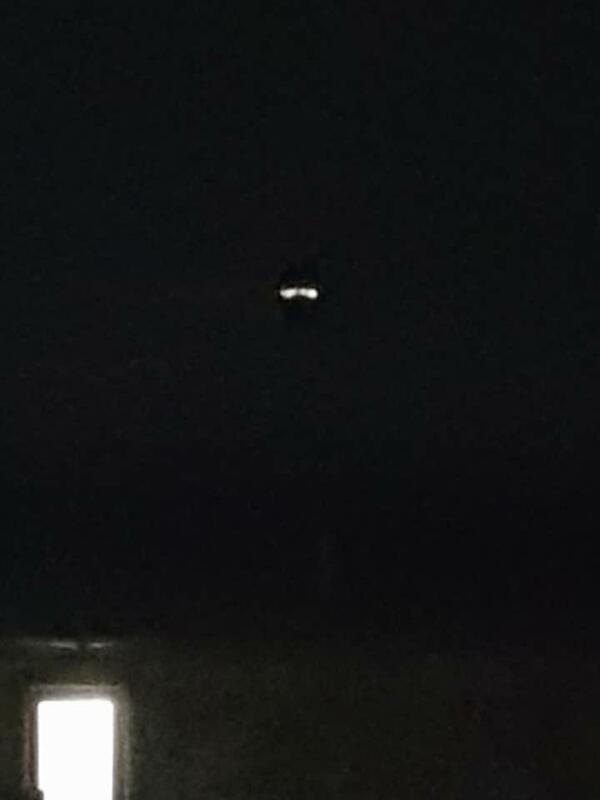 Charles Williamson took the eerie pictures when he stepped out his back door and was stunned to see a "round circle with lights" floating in the sky above his neighbour's house. The 36-year-old immediately called his wife and kids to confirm his shocking sighting. The Wick local said: "It was about 12.10am, just after the bells and I went to my back door to have a cigarette. "When I looked up to the sky I saw a UFO. "It was a round circle object with lights on the front and back and I could see windows in it. "I got my wife and kids to come and look at it. We all knew what we were seeing, it was really, really clear. "I couldn't believe what I was actually standing and looking at." The carpet fitter then started snapping the hovering object. He said: "I took pictures and videos on my phone but it's not as clear. "It was crystal clear looking with your eyes, you knew what you were seeing. It was like seeing a car at the bottom of your street, it was that clear. "It's just not as clear with the phone." Charles was immediately convinced it was a UFO. He said: "I've not seen anything like this before. I knew it wasn't a plane or a meteor because it wasn't making any noise or moving. "I left my house to go and get a better picture but when we got round the block, we couldn't see it. When we got back to the house, it was there again. "Then a police van came past and suddenly all its lights went out. When the van drove back past the UFO lights came back on. "A few minutes later it disappeared. "I couldn't really get to sleep and kept going to the window and the door to see it, but it was gone."  BEAMS Comment: This looks good to us... a beauty - maybe an energy plasma-type UFO. "I thought it could have been a drone at first but at that time it was very windy here….gusts of 46mph in fact and too much for drone flight. I’m looking for a quote for our local paper the Caithness Courier with regard to what you think it might be. I’m genuinely confused about this sighting!!"